Nestled along a 2,000 acre lake in the foothills of the Appalachians. Mostly wooded with lots of elevation. Part of the Blue Ridge Parkway Foundation/Kids in the park. 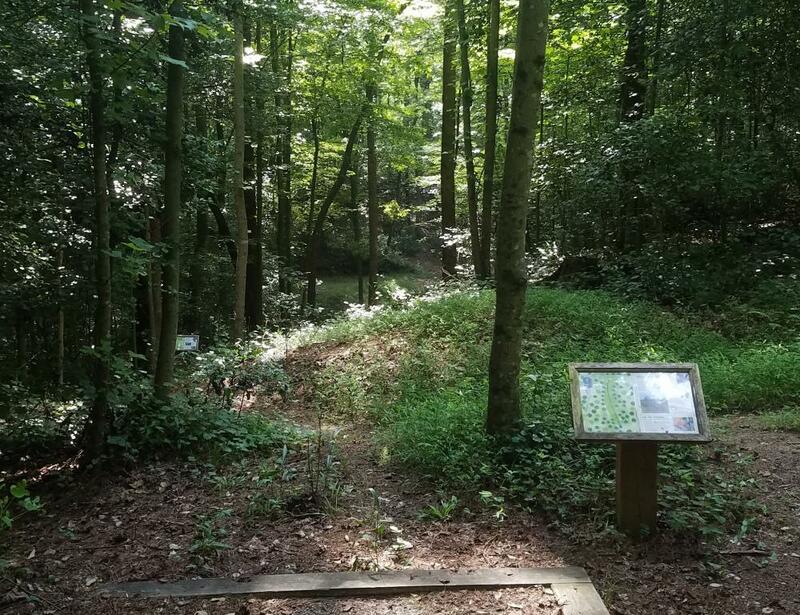 A nature trail disc golf experience. Open seasonally, $5/car or $40 annual pass. No alcohol. Pets must be kept on leash at all times. Other amenities include: camping, swim beach, boat ramp, playgrounds, picnic tables, pavilions, bath houses, mtn biking, archery, volleyball, horseshoes, fishing, swimming, birding, etc. From I-77; exit 73B - West 421. Go 28 miles. Immediately past mile marker 293 - make a left onto Recreation Rd. Go 1 mile to the Park entrance. If playing the course when park gate is closed, park in the small lot just before the gate. 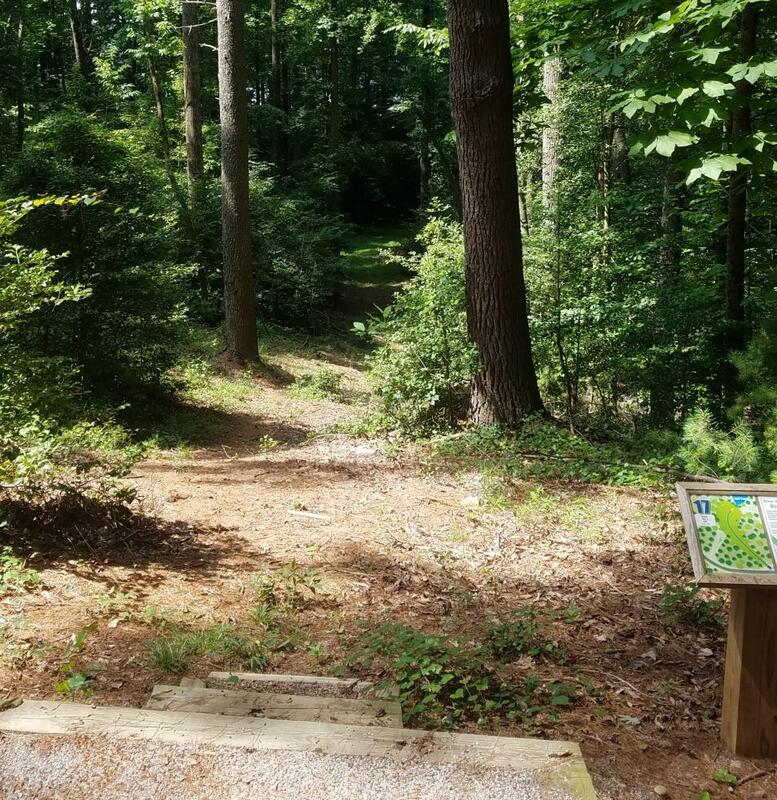 From there, follow park road to the right - the first hole you reach will be #6. Very wooded course in a park maintained by the Army Corps of Engineers. Well maintained and good signage. Blue and white trees. Pay-to-play $5 per car per day. I really enjoyed it.